IN THE SPOTLIGHT: The Voice runner-up Darren Percival. Fame and fortune might be by-products of television appearances but 2012 The Voice runner-up Darren Percival has his sights set on other successes. 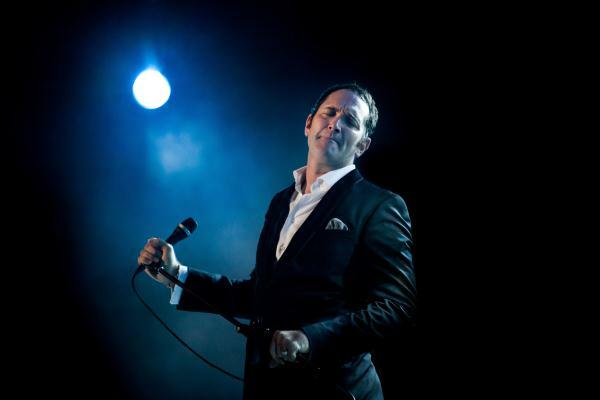 The 40-year-old singer and father-of-two has hardly stopped since the show finished last year, touring around the country and promoting his A Tribute to Ray Charles album. But Percival said his appearance on The Voice gave him more important opportunities to reach out to others through singing. Meeting fans following his appearance on The Voice grew Percival’s appreciation for the show’s ability to make people “come together as families on their couch”. “Those people who voted for me really invested in my career, so when they see you they’re so excited. And live, when you don’t have 20 cameras up your nostrils, you’re a lot more relaxed and therefore singing better,” he laughed. Percival explained the “pressure” and “exhaustion” that came with performing for a living, expressing admiration for prominent artists such as Justin Timberlake and Alicia Keys. He expressed gratitude to show mentor and idol Keith Urban for reminding him to “centre” himself and “ride on the spirit” of his music – focuses he had let slip during years of working. Percival was excited to “reunite with old friends” during his visit to Queenscliff Music Festival and its June Winter Warmup gig. Two years ago Percival travelled from New South Wales about six times to hang out, do workshops, rehearse and perform with a Queenscliff choir. A new, original album was also on the cards for Percival, he revealed.